In this sixth episode of our series on pursuing personal holiness, we discuss the role of personal discipline. We understand and accept the personal responsibility that comes from our desire to get in shape physically. Likewise, we must embrace our responsibility in growing in holiness. This simply means we are accountable for developing our own personal holiness – growing in spiritual maturity – we play a role in conforming ourselves to the image of Christ. Becoming holy as God is holy (1 Peter 1:16) is something we learn and we train ourselves to become holy by self-discipline (1 Timothy 4:7). This means it is a process, there are ebbs and flows, and we have good days and bad days. Sometimes we are successful and other times we fail. The important aspect is the intention of our heart and the determination of our will. Will we submit our wills to the will of God? The basis for our success in this pursuit is the Word of God, the Bible. Second Timothy 3:16 tells us that God’s Word is the tool by which we train ourselves in righteousness, holiness, and godliness. Through the pages of Scripture we are taught to put off the old self and put on the new (Ephesians 4:22-24). 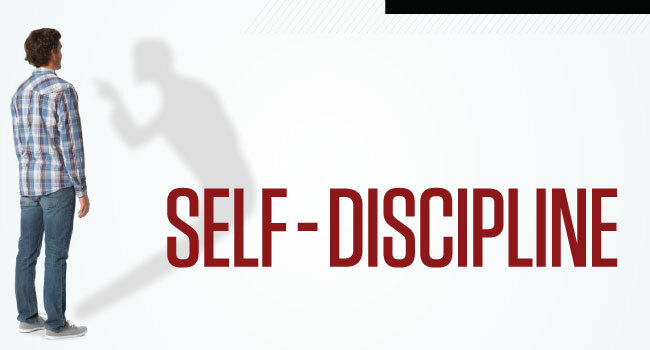 We learn through training and we train by means of personal discipline. God has made it clear that once He has established us in a new position and kingdom by way of grace through faith (Ephesians 2:1-10), we share responsibility for growing in spiritual maturity (Philippians 2:12). In our previous episode, we discussed how holiness is basically an issue of obeying Christ’s commands. In fact, James tells us that apart from a demonstration of active obedience, our faith is null and void and will not save us (James 2:14-26). If you desire to be obedient, it becomes a matter of becoming disciplined to be obedient. You train yourself and “work out your salvation” to produce fruit consistent with repentance and salvation.